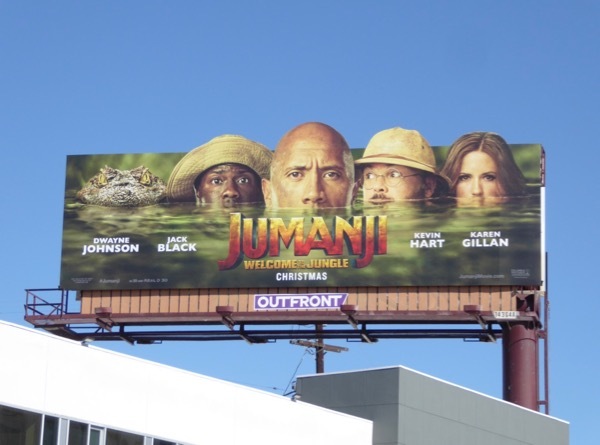 Not only is it holiday season this Christmas at the box office, but it's also sequel season as Jumanji: Welcome to the Jungle hopes to entertain festive cinema goers. 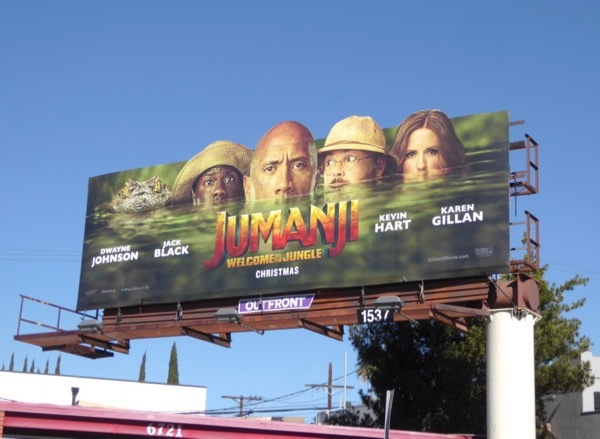 Set twenty years after the 1995 original which starred Robin Williams, the infamous board game has evolved into a magical video game which four disparate teenagers find on detention cleaning out their high school's basement and are transported to the same jungle world 'Alan Parrish' was sucked into years before. 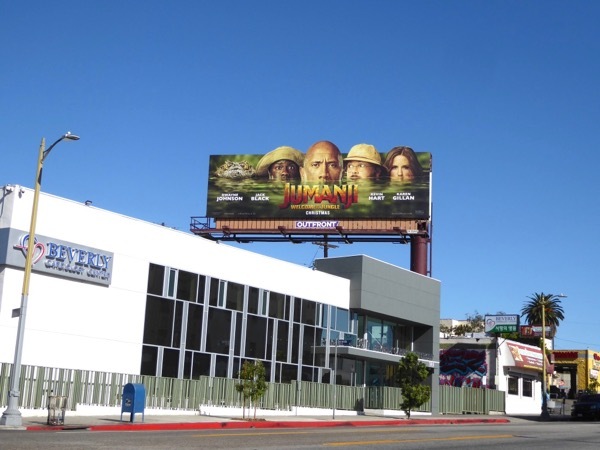 Once there, the kids become game avatars with their own unique skills and appearances, played by Dwayne Johnson, Kevin Hart, Jack Black and Karen Gillan. Soon they find the only way out is to play along and finish the fantastical game. 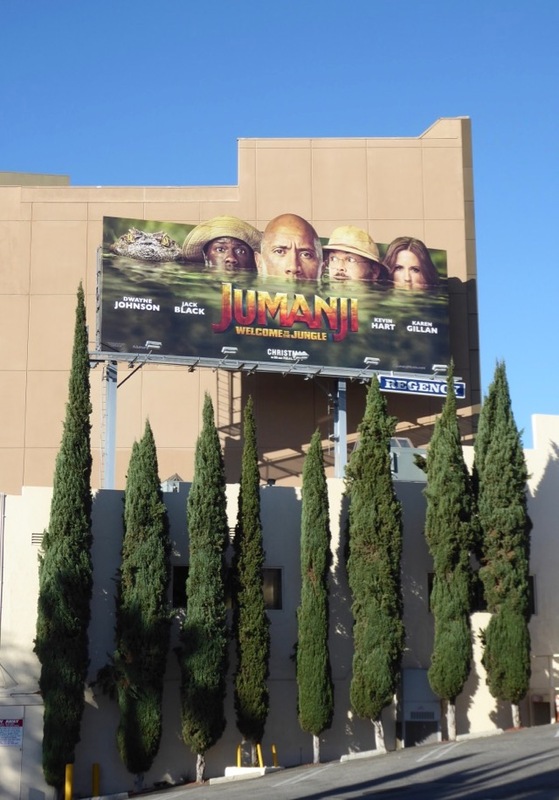 These fun Jumanji sequel movie billboards, which evoke Apocalypse Now in a humorous way, were spotted along Melrose Avenue, the Sunset Strip and Beverly Boulevard from November 15 to November 18, 2017. 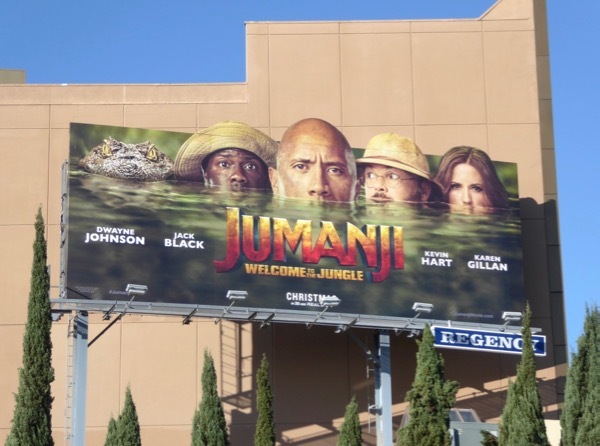 Let's see if this new outing to the jungle can deliver the laughs, animal antics and adventure of the first movie, and recapture some of its magic too.